Senate Minority Leader Kevin McCarthy (R-CA) has called on House Intel Committee Chairman Adam Schiff (D-CA) to resign from his position on the Committee. McCarthy's demands come after it President Donald Trump was vindicated of colluding with Russia during the 2016 presidential election. Throughout the court of Special Counsel Robert Mueller's investigation, Schiff continually pushed the notion that Trump was guilty and he's "concerned about the president's relationship with Putin." Even as recently as Friday, Schiff said he was prepared to to subpoena Mueller and Attorney General William Barr over the contents of Mueller's report. McCarthy called for Schiffs resignation during a Monday interview with POLITICO. "[Schiff] owes the American public an apology," McCarthy said. "Schiff has met the standard that he has imposed on other members of Congress of when they should step back from their positions. He has exceeded that standard, and there is no question he should step down from the Intel chairmanship." 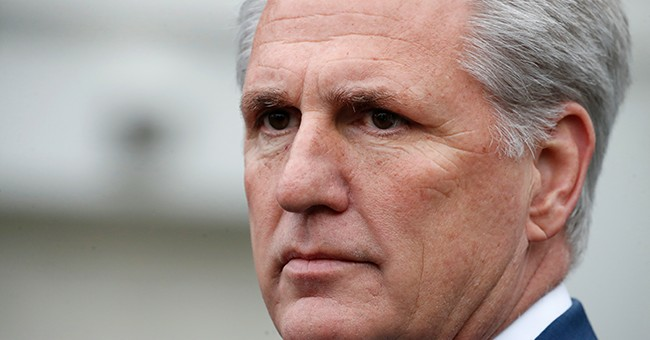 McCarthy echoed his call for Schiff's resignation during an interview with Fox New's Dana Perino. "Are you calling on him to resign?" Perino asked. "I am calling on him to leave the committee as chairman because Adam Schiff left this standard to so many others in the process. He has so many questions. One, fighting who paid for the dossier. We had to go to court," McCarthy explained. "Two, meeting with Glenn Simpson and never telling us he did when the committee was looking at it. And three, saying two years ago he had more than circumstantial proof and evidence of a problem going forward. And now the Mueller report just came through and proved that he lied. He should apologize to the American public and he should step back from being chair of the Intel Committee." The House Intelligence Committee, which Schiff chairs, plans to continue investigations into the Trump campaign's contacts with Russia. As of now, the Committee is scheduled on Wednesday to hear from "Trump associate Felix Sater about his efforts to strike a deal for a Trump Tower Moscow during the 2016 campaign," POLITICO reported. "On Thursday, the committee has a second Russia-focused hearing on how the Kremlin used oligarchs and their money to influence U.S. politics in 2016."